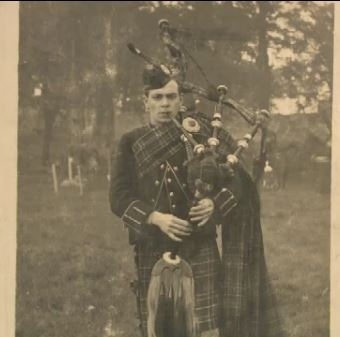 A historic set of bagpipes has been passed down through three generations of the same family after surviving both world wars. The pipes were first played at the Battle of the Somme in the First World War by Peter Goldie, a piper with the Royal Scots 16th Battalion. From his regiment of 810 soldiers, 482 were injured or killed. “The piper would set the pace and off they'd go towards the trenches or wherever and when they got to the trenches, to instill bravery in the soldiers, the piper would get up on top of the trenches and start playing,” Peter’s grandson Hugh Goldie told CTV News Atltantic. 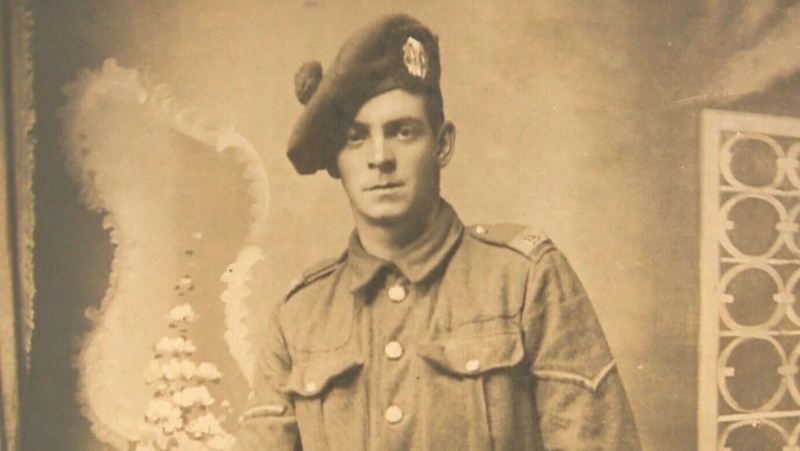 His grandfather was one of the lucky ones to survive the Battle of the Somme, taking his pipes with him. Peter Goldie passed the bagpipes to his son Hugh, who brought them back into battle as a piper with a British Army rifle regiment during the Second World War. Hugh didn’t survive the war, dying of tuberculosis, an infectious disease affecting the lungs. 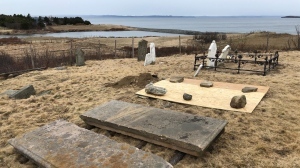 “He passed the bagpipes on to my father who was a tail gunner in a Lancaster who had no interest in playing the bagpipes, so he put them in the attic and they stayed in the attic from 1944 until 1961 when I received them,” Goldie said. 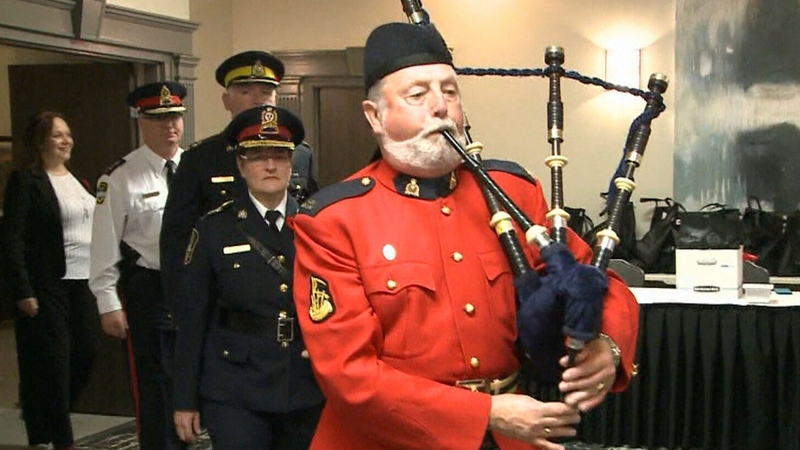 The New Brunswick native has had the pipes ever since and today he’s a member of the RCMP J Division pipe band. But he was not aware he had been playing a piece of history for the last six decades, only finding out the true tale of the pipes after his father’s death. “I always call these people the secret heroes and the silent heroes because my father never spoke about the war until we found his log books,” he said. Goldie also discovered photographs and Christmas correspondence from the front line in 1918 between his grandfather and the woman who would become his grandmother. “To research this and to know that these pipes had some part of the freedom that we have is absolutely fantastic,” he said. Goldie hopes to pass this part of his family’s proud military history to another relative so the pipes can play on. Hugh Goldie plays his grandfather's bagpipes, which survived both world wars. Peter Goldie, a piper with the Royal Scots 16th Battalion, who fought at the Battle of the Somme in the First World War. Hugh Goldie, a piper with a British Army rifle regiment during the Second World War.